Supported Employment & Advance Enterprises- Contract Services of Arc Riverside..
We are Ready, Willing and Able! Advance Enterprises is a vocational program designed to provide employment opportunities for adults with intellectual and developmental disabilities. We promote employability skills that are needed in the current job market. 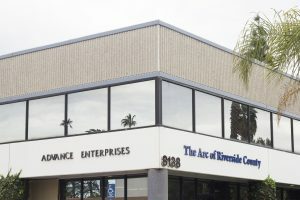 We offer two convenient locations to services regional businesses through subcontracted work in Riverside and Beaumont. Why settle for high labor costs when you can increase your bottom line though Advance Enterprises. We are able to meet your needs now.